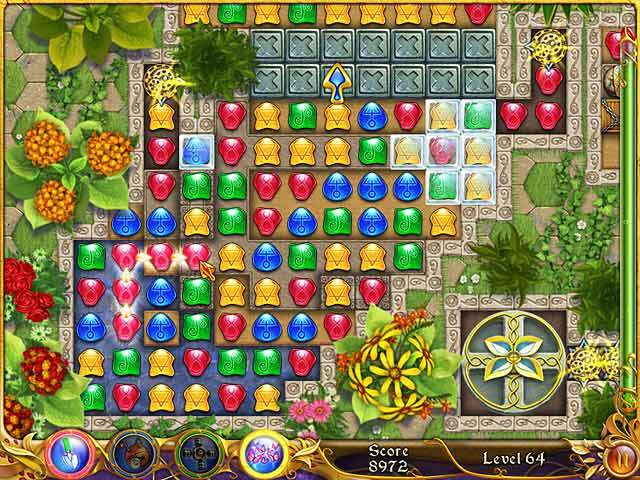 Rated 5 out of 5 by obie1one from Great I loved 4 Elements (it was different) and I was so glad to find another/this similar game. It has a relaxed button. I plan to play this one a couple times and I plan to get Venice 2 too. I don't care for the mini-games. I hope they improve with Venice 2. Rated 5 out of 5 by fredandethel from If you like this, try Lamp Of Aladdin Can't add to what's already been said abount Hello Venice but I can suggest a game for those who'd like something similar. 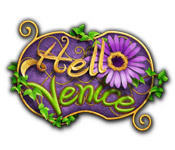 ( Lots of people compare Hello Venice with 4 Elements, which I found boring). Lamp of Aladdin is swap rather than chain match so you don't get the bonus explosions for long chains but you do get lots of hammers, bombs and whirlwinds to use where you please, plus other really fun and original power up's to get from one part of the level to another. There isn't the same kind of earning and building aspect, - parts of buildings and other things are collected and assembled automatically - but there are good FROG episodes and really colourful Arabian Nights artwork. There's also Tibet Quest, which I personally didn't like as much. Rated 5 out of 5 by nuttynita from Very Addictive When I first looked at this game I thought oh no dont like the look of this one but I will have a go. It is fun enjoyable and very addictive. Every day I find myself having to have a game. It just goes to show the old saying of You can't judge a book by its cover, is very true. Great Game Try it I think like me you will be surprised. Rated 5 out of 5 by wadeckiburn from Good Game Loved this, very addictive, only bad thing was I got stuck on one level and went from timed to relaxed (didn`t lose my score, which I liked) but them can`t get back to my timed, which I like for the challenge. When you get enough "money" you can buy stuff for your garden, and you have several choices on everything, from flowers to benches to awnings to sidewalks and more. When I finish the game I`m going to go back and just buy the first ones on everything, and then on the second game after that I will buy all the second ones and so forth, just to see what the they will look like. It also has bonus games, which I didn`t care for, but that was my preference. Can`t rule on sound quality as don`t play games with it. Can`t remember if got this on the DD or what, but would definetely pay full price. Rated 5 out of 5 by imaforgiven1 from addicting replaying it and it is as enjoyable as the first time. 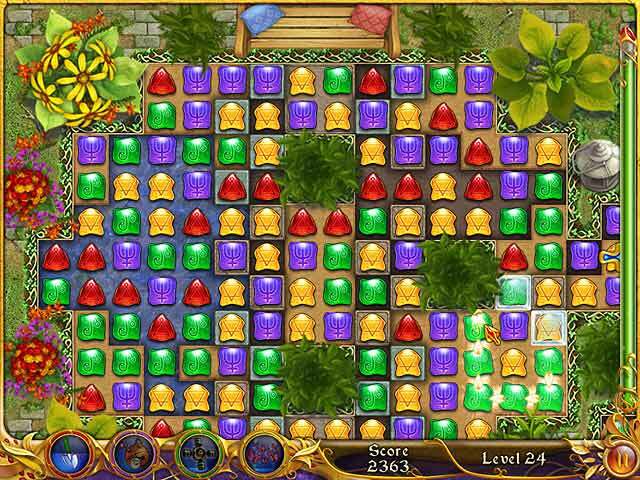 Rated 5 out of 5 by sparrow1974 from Love this game! This is a cute game. It's the type of Match 3 that is click and drag but I like that. And it's fun to get as many tiles as you can in a line. 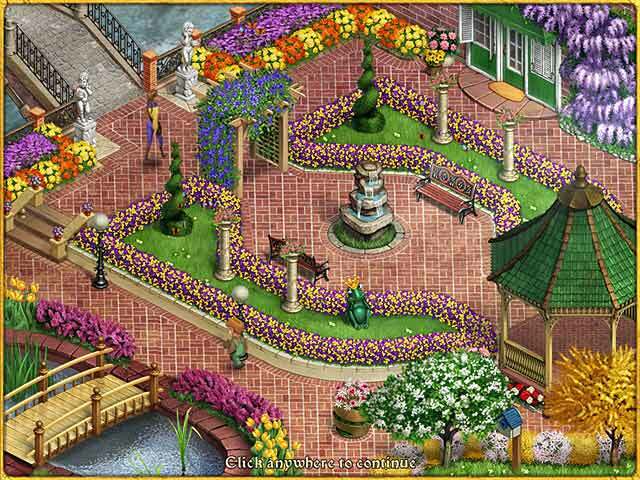 The colors are vivid and it includes a time management side game that lets you earn more cash to buy objects for your garden. I highly recommend this game! Rated 5 out of 5 by yel65sel from addictive game just love the concept. challenging. complex at times. Really enjoyed this game.